Texas now boasts more than 100 craft breweries statewide, many of which opened just within the last few years. But today, one of those breweries announced that it has brewed its last beer. 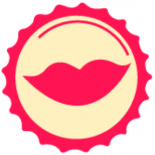 Fort Bend Brewing Company out of Missouri City, Texas ceased brewing operations on December 30 of 2014, and permanently closed their doors last week citing “various circumstances” for the decision. The brewery, known for beers like Phat DJ IPA and Texas Farmhouse Ale, had been open for less than three years. 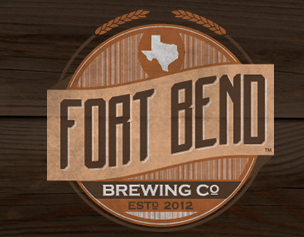 Due to various circumstances, it is with regret we must inform you that Fort Bend Brewing Company ceased brewing operations December 30th, 2014, and permanently closed on January 31st, 2015. FBBC has been brewing high quality beers for over 2 years, and has been a proud contributor to many activities and charities in the local community. We gave it all we had to build a brand that we were proud of. For all our cynics and disparagers, you know who you are, well, my mother taught me if I don’t have anything good to say about someone, then don’t say anything at all – enough said..
To all of our supportive retailers and patrons, we sincerely thank you for your support during the past years, you made it worthwhile. To our awesome volunteers, we couldn’t have done it without you. With the warmest gratitude from the bottom of our heart, thank you, we will miss you. On to the next chapter…. While many fans of the Houston area brewery are taking to social media to voice their condolences, others are debating whether Fort Bend’s closure is an isolated incident due to issues with beer quality, marketing, etc. or evidence of a “saturation point” for craft beer as shelves and tap walls become more crowded. It’s a notion that people like Brewers Association Chief Economist Bart Watson have dismissed in the past, but dialogue nevertheless persists as the number of craft breweries nationwide continues to climb. I was truly sorry to learn about the closing of Fort Bend Brewing Co. The Guild wishes the best to Ty and Sharon Coburn, as well as their employees. We know closing must have been a difficult decision to make. Though the craft beer market in Texas is growing at a rapid pace, the opening of any business venture posses risk and there is no guarantee of success. Many breweries continue to open in Texas, and our per capita statistics (number of breweries per capita, economic impact per capita, etc.) clearly demonstrate we have a lot of room for future growth. We are sorry to see a member brewery close, and we will continue to educate, support and advocate for existing Texas breweries and for those planning to enter the market. For more information on Fort Bend’s closing, check out Ronnie Crocker over at the Houston Chronicle’s story.